When exposed to ultraviolet light (UV light), about 30% of all diamonds exhibit a soft glowing light, called fluorescence. UV light is exhibited in different situations, such as at black light parties or under natural sunlight. 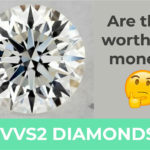 It isn’t actually the diamond itself exhibiting this light, but certain elements such as nitrogen, aluminum, and boron captured within the diamond. These particles absorb the energy from the UV light and get “excited”, meaning the electrons of these particles jump to a higher energy state. 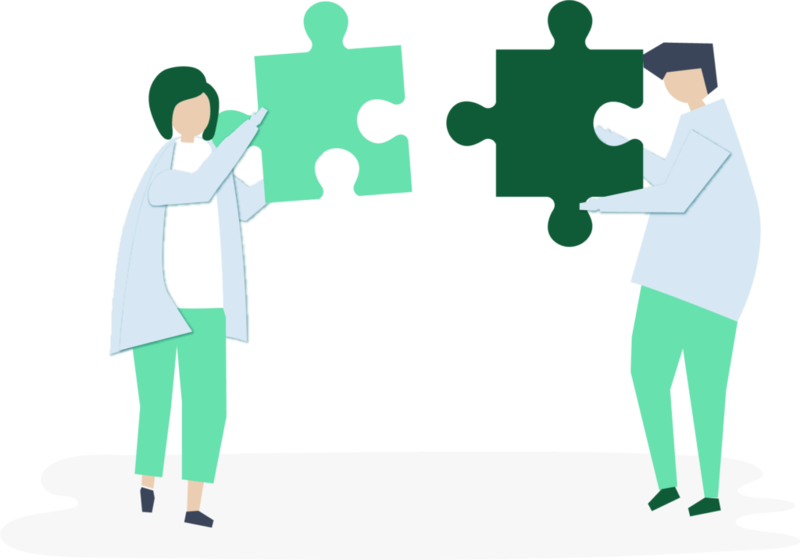 If you remember your chemistry lessons you know that excited electrons always aim for a stable energy state. They can only achieve this by releasing the absorbed energy, resulting in blue light. In 98% of the cases the fluorescence color is blue, however other colors such as green or pink are possible. There are also yellow fluorescence diamonds. 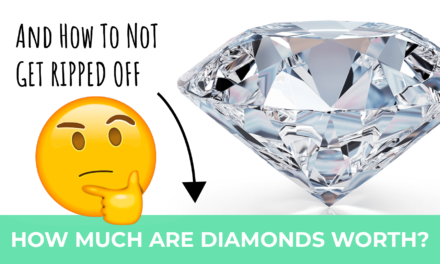 You will often find that diamonds with fluorescence are discounted about 10% to 15% because many people perceive it as a flaw. That hasn’t always been the case. In fact, back in the days people paid extra to get their hands on a so called “blue-white diamond”. 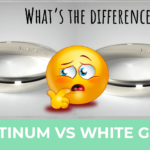 Today, there are still some people who actually prefer diamonds with fluorescence (including me). This leads to the question whether fluorescence is per se something good or bad. 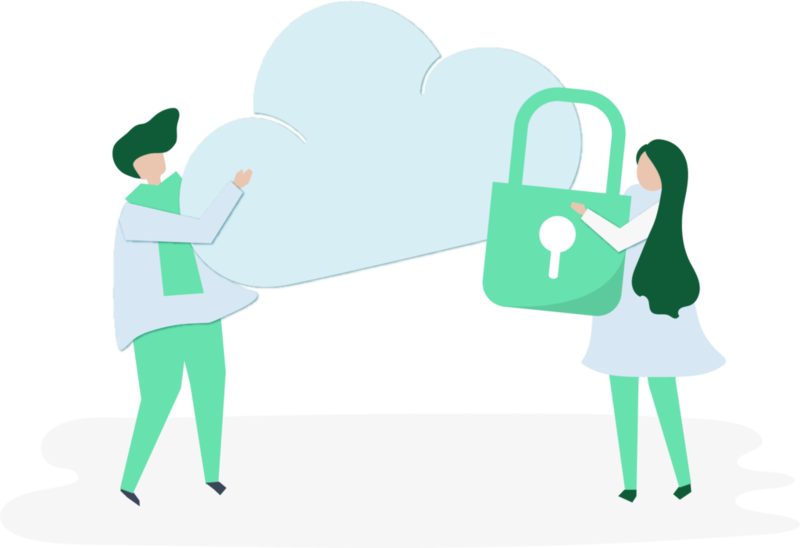 Unfortunately, the answer is not straight forward and depends on a few factors. 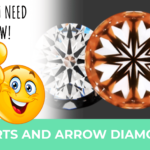 Just know that if you choose the right diamond characteristics fluorescence can actually improve your diamonds appearance in terms of color. And another note before we get started one more note: Unlike what many people think fluorescence does not affect the brilliance or sparkle of a diamond, which is largely determined by a diamond’s cut and clarity. There are five different grades of fluorescence which are: none, faint, medium, strong, and very strong. About 65-70% of all diamonds do not exhibit fluorescence and are therefore put in the first category of “none”. Faint Fluorescence refers to a diamond exhibiting very small amounts of fluorescence. A diamond with faint fluorescence will never look hazy or milky. 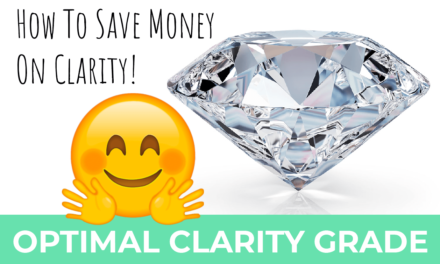 You can confidently buy diamonds with this grade and save some money. Unlike what many people say, medium levels of fluorescence can lead to hazy and less transparent diamonds. 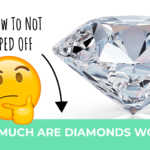 This is why you have to inspect your diamond before purchasing! 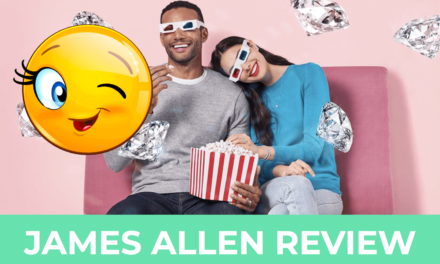 You can make use of James Allen’s Diamond Insepctions Service, where you will be connected to an expert and can view each diamond at a 40x magnification. 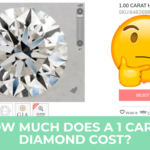 If no haziness occurs however, this grade can actually benefit a diamond if paired with lower color grades such as H-K. As you know in this color grade diamonds have visible shades of yellow. The blue fluorescence counterbalances the yellow shades and thus your diamond will appear whiter when exposed to UV light. Now many of these diamonds can indeed look hazy or even milky. 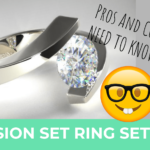 Especially diamonds within the higher color grades are prone to these flaws. Every diamond is different though. And that’s why I recommend to inspect each loose diamond thoroughly before making a purchase. 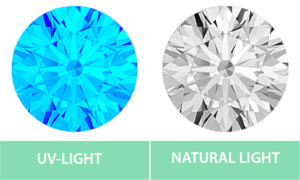 If you buy diamonds with high color grades (D-G) you diamond can get a nice blue-icy look when exposed to UV rays. 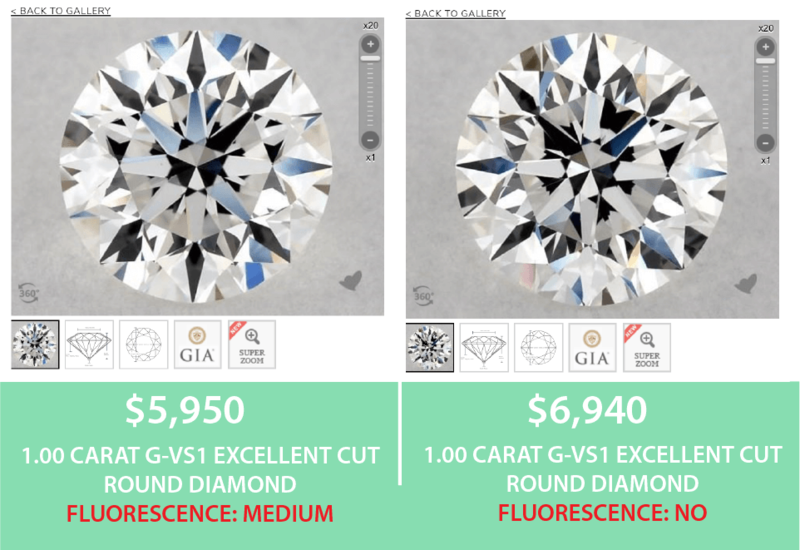 How Does Fluorescence Affect the Diamond Grading? The reason many people think that fluorescence is generally a bad thing is a result of somewhat sneaky marketing in the previous century. While white blue diamonds were perceived as extravagant and desirable salespeople soon made use of this perception and marked lower quality gems with blue fluorescence. This lead the Federal Trade Commission of the USA to ban the “blue white” label. 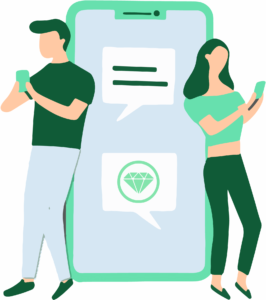 Then, later on the GIA published a study on diamonds fluorescence in 1997 claiming that most diamonds are not affected in terms of transparency by the blue light. However, their data clearly shows that 50% of the people did perceive a difference. This and some other inconsistencies led to a lot of confusion surrounding the topic of fluorescence. Fluorescence is neither good or bad per se. In some diamonds fluorescence is beneficially and can make your diamond appear “whither”. 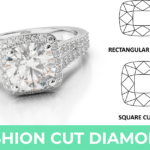 That is if the diamonds transparency is not affected by medium to very strong fluorescence grades. If you buy lower color grades the blue light and the yellow body color of the diamond can counterbalance each other. 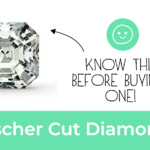 Faint fluorescence in general has no effect on your diamond, yet you can still get a discount. 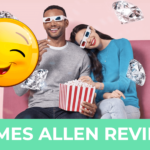 If you intend to buy a diamond with a higher color grade and a medium to very strong fluorescence you can actually benefit from an icy blue look of your diamond. Of course, this depends on the lighting conditions. Some people really like this (including me) others don’t. 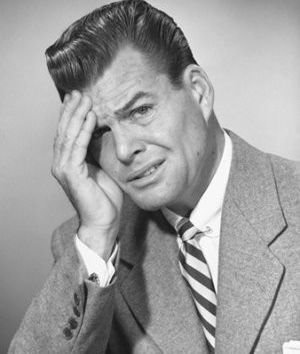 Hence, in conclusion, if you know what to look out for and learn how to benefit from fluorescence you can only profit. 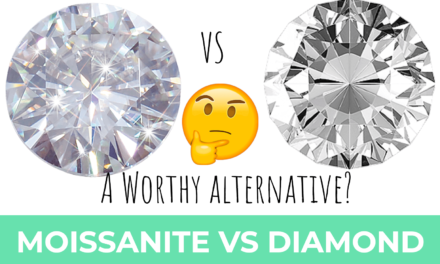 PreviousMoissanite vs Diamond – A Worthy Diamond Alternative? NextRose Gold Vs Gold – Which One is Better?